Shop a complete selection of Lawn and Garden Supplies at Wharton Landscape Supplies in Atco, New Jersey. Our giant indoor-outdoor property is filled with a huge selection of stone, mulch, topsoil, and other landscape and hardscape supplies. With mass quantities in stock and ready to use, we have been an ideal choice for South Jersey landscape and hardscape contractors in the Camden County, Burlington County and Gloucester County NJ area for years. Special orders are available for anything we do not typically have on hand. Our South Jersey Landscape Supply and Landscape & Hardscape Materials include: Mulch, Pavers, Topsoil, Stone, Gravel, Sand, Boulders, Edging Materials, Drainage Products, Landscape Fabric, Travertine, and much more. 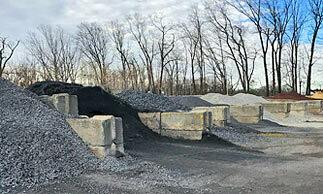 Enjoy our landscape and hardscape supplies without the hassle of having to load and unload them. 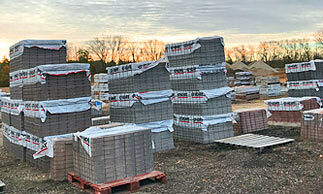 We offer timely deliveries of our lawn and garden supplies to most areas of South Jersey. With 25 years of experience dealing in landscape materials, we also provide knowledgeable and helpful customer service. As an authorized dealer of EP Henry products, we offer only the highest quality materials, from landscaping fabric to decorative stone and travertine. We regularly donate these materials to benefit charitable causes in the community. Call us at 856-768-2505 for all your South Jersey Landscape Supply needs in the Burlington County, Camden County and Gloucester County NJ area.